Muhammad Jamal al Kashef. Courtesy of SITE Intelligence Group. However, the UN mentions two key aspects of Jamal’s career that were omitted from the announcement of the US government’s designation. The UN notes that both Jamal and members of his network (the Muhammad Jamal Network, or “MJN”) are “reported to be involved in the attack on the United States Mission in Benghazi, Libya, on 11 Sep. 2012.” The US announcement did not mention Jamal’s connection to the attack in Benghazi, even though it was first reported by The Wall Street Journal and subsequently other outlets, including The Long War Journal. The UN describes Jamal as the head of the “Nasr City terrorist cell in Egypt in 2012.” The Long War Journal has reported on Jamal’s role in the Nasr City cell, which has multiple ties to al Qaeda. The Nasr City cell has been tied to terrorist plots inside Egypt, according to Egyptian officials, including a planned attack on a Western embassy. 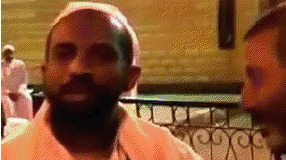 Another leader of the Nasr City cell was Sheikh Adel Shehato. Both Shehato and Jamal had been imprisoned prior to the Egyptian revolution but released in 2011. They were both re-arrested in November 2012. Shehato and Jamal were both Egyptian Islamic Jihad (EIJ) leaders under Ayman al Zawahiri, who headed the EIJ and merged the terrorist organization with Osama bin Laden’s operations prior to the 9/11 attacks. The Nasr City cell is not mentioned in the US government’s announcement. In other respects, the UN’s sanctions page lists the same details previously disclosed by the US. Jamal and his network have received support from al Qaeda in the Arabian Peninsula (AQAP) and they are “linked” to Ayman al Zawahiri and the leadership of al Qaeda in the Islamic Maghreb (AQIM) as well. Despite Jamal’s arrest in late 2012, his network is still active. Jamal established multiple training camps in Egypt, including in the Sinai, and Libya. At least some of those camps and Jamal’s operatives are still active.